Do you know how many liters of water we use when taking a shower ? It is about 15 or 20 liters or so. 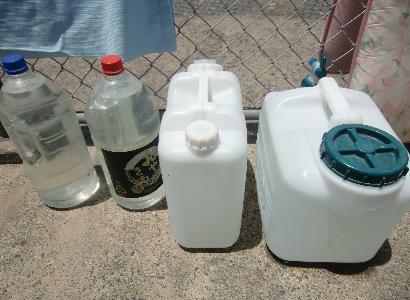 In summer, we put water in plastic bottles and tanks, and then put them in the sun for 3 or 4 hours. After that, they have enough temperature to take a shower. Actually, this is my wife's idea. We don't have to use gas, electricity and money. I think it's a way to curb global warming. Especially, I've heard that a lot of people are anticipating power shortages this summer.